Apparently US audiences want their X-Men to focus on the cast found in the original movie from 2000. Of the seven X-Men flicks to date, the two that fared the weakest in the US came with a “next generation” cast. We first met this crew via 2011’s First Class. While well-regarded, the movie took in a less than scintillating $146 million US, the lowest gross of the franchise. The series’ profits rebounded with 2014’s Days of Future Past. Though it featured some of the First Class actors, it blended oldsters like Hugh Jackman, Ian McKellen and Patrick Stewart. This resulted in the franchise’s biggest worldwide hit. Then came 2016’s Apocalypse, which opted for the First Class framework – and surprisingly weak box office returns. Perhaps audiences felt “superheroed out”, as Captain America: Civil War and Batman v. Superman: Dawn of Justice both hit screens not too longer before Apocalypse. Or maybe moviegoers just don’t dig the “new kids”. As for me, I thought First Class offered the most satisfying of all the X-Men adventures, so I wanted to give Apocalypse a look. A prologue takes us to ancient Egypt, where we meet the planet’s first mutant: En Sabah Nur, a tyrant who rules civilization with an iron fist. After he manages to transmit his consciousness into the body of a younger follower (Oscar Isaac), the locals revolt and En Sabah Nur becomes trapped in the rubble. Down but not out, En Sabah Nur – now called “Apocalypse” – emerges from his tomb in 1983 after CIA agent Moira MacTaggart (Rose Byrne) accidentally unearths him. Apocalypse recruits new followers and seeks to rule the earth again, a plan that the X-Men oppose. Given how much I liked First Class, I should’ve entered Apocalype with enthusiasm. However, I didn’t find myself too excited by it, almost entirely due to its director. Bryan Singer led X-Men and 2003’s X2 before he handed off the reins to Last Stand so he could focus on Superman Returns. Singer also skipped First Class but came back to the fold for Days of Future Past. While Singer’s return helped the franchise at the box office, I thought Days offered a creative step backwards after the rousing First Class. While it offered decent entertainment value, I didn’t feel it came together in a totally satisfying manner, and it lacked the charge and creativity of First Class. I blamed this on Singer, a director who started great with 1995’s Usual Suspects but who has seemed fairly average since then. 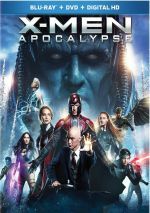 Though I enjoyed his first two X-Men flicks, neither approached the heights of the superhero genre, and Days gave me little reason for optimism as I approached Apocalypse. Perhaps due to these lowered expectations, I must admit I like Apocalypse more than I anticipated I would. While I can’t claim it works as well as First Class or makes me totally enthusiastic about the franchise, it does offer a pretty satisfying sequel. On the negative side, Apocalypse probably runs too long. 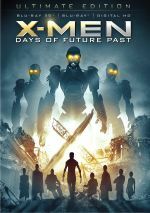 At 144 minutes, it’s the longest X-Men theatrical cut to date, as it goes for 10 minutes more than its nearest competitor – and 40 minutes longer than Singer’s first X-Men film! In addition to the length, the overall narrative takes a while to get going. Once Apocalypse introduces the title role in ancient Egypt, it dawdles a lot, as it reintroduces us to various X-characters in their 1983 incarnations. This makes Apocalypse feel oddly like an “origin story”. Sure, it needs to explain/explore the title villain and a handful of new characters, but the movie uses up a lot of space to dwell on semi-unnecessary information about established parts. Because of this, Apocalypse makes us wait forever to get the characters "organized" and to move toward the actual plot. Some of this drags and makes me wish the movie proceeded at a quicker pace. That said, I like the movie's "dark side" and think it's more dramatic and emotional than usual for an X-Men film. Even though the other movies attempt heavy subjects, they seem somewhat lightweight much of the time, whereas this one comes across meatier to me. That’s because Apocalypse takes its title seriously, and it doesn’t joke around as much as expected. Of course, we know the world won’t actually end, but the stakes feel higher than usual, and this results in real drama. The action scenes satisfy as well. Again, it takes a while for the movie to get up a head of steam, but once it does, it becomes fairly engrossing. This makes Apocalypse a mixed bag due to the slow pacing of the first half, but once matters swing into gear, it does very well for itself. While not my favorite X-Men movie, Apocalypse winds up as one of the series’ better efforts. Footnote: should you expect the usual tag after the end credits roll? Yes, you should, so stick around! X-Men: Apocalypse appears in an aspect ratio of approximately 2.40:1 on this Blu-ray Disc. This became a fine transfer. After a serious gold orientation to the ancient Egypt scenes, Apocalypse opted for Hollywood Standard Orange and Teal the rest of the time. Within stylistic choices, the hues looked fine. Blacks were deep and dense, while low-light shots depicted appropriate clarity. This was a terrific visual presentation. Apocalypse came with a strong DTS-HD MA 7.1 soundtrack. With plenty of action scenes, the mix often opened up to give us active information. These used the various speakers to create an involving, effective sense of these situations and circumstances. The elements meshed together well and moved in a satisfying manner. Given the level of action, I’d be hard-pressed to pick out anything that stood above the rest. I did like the Cerebro shots, as those created a cool level of involvement, and the many action scenes worked awfully well, too. The whole shebang turned into a vivid affair. Audio quality also pleased. Music was peppy and full, while effects demonstrated good clarity and range, with fine low-end response as necessary. Speech came across as concise and natural. Everything about the mix fired on all cylinders. As we hit the package’s extras, we open with an audio commentary from director Bryan Singer and writer Simon Kinberg. Both sit together for a running, screen-specific look at story/character areas and connections to other movies/comics, cast and performances, sets and locations, costumes, makeup and effects, editing and music, shooting 3D and related topics. Veterans of the format, Singer and Kinberg deliver a solid overview of the production. They dig into an appropriate range of subjects and do so in an engaging manner. While I won’t call this a great commentary, Singer and Kinberg deliver an efficient and informative piece. 12 Deleted/Extended Scenes fill a total of 23 minutes, eight seconds. These tend toward character beats, with an emphasis on Scott’s arc. Given that the movie already runs too long, I think it was good the sequences got cut, and I honestly can’t cite any that I think should’ve made the end product. The mall scene does give us a fun bit, though – it’s unnecessary for the film but it’s still enjoyable. We can view these clips with or without introductions from Singer. With his thoughts included, the package runs a total of 28 minutes, 11 seconds. Singer provides the expected notes about the cut material and lets us know why he gave the shots the boot. A Gag Reel goes for eight minutes, 20 seconds. This offers a pretty standard combo of goofs and giggles, with one exception: the silliness often actually amuses. Most gag reels are lame, but this one actually entertains, especially when the actors deliver ridiculous lines while still in character. Next comes a Wrap Party Video. It takes up four minutes, 46 seconds and shows something not unlike another gag reel, as it mixes behind the scenes snippets with silliness. It’s fairly forgettable. With Unearthed, we get a six-part documentary. All together, the segments last one hour, three minutes and 58 seconds. We get info from Singer, Kinberg, producers Hutch Parker, costume designer Louise Miingenbach, Legacy Effects’ Brian Sipe, stunt coordinator Jeff Habberstad, additional visual effects supervisor Matt Sloan, visual effects designer John Dykstra, makeup department head Rita Ciccozzi, head SPFX makeup artist Adrien Morot, production designer Grant Major, DP Newton Thomas Sigel, additional visual effects supervisor Matt Sloan, 2nd unit director Brian Smrz, stunt coordinator James M. Churchman, supervising art director Michelle Laliberte, SPFX coordinator Tom Blacklock, editor/composer John Ottman, and actors Lucas Till, Olivia Munn, Nicholas Hoult, Michael Fassbender, James McAvoy, Oscar Isaac, Evan Peters, Ben Hardy, Alexandra Shipp, Tye Sheridan, Sophie Turner, Kodi Smit-McPhee and Lana Condor. “Unearthed” examines story/character areas and connections to other movies, cast and performances, costumes, makeup and effects, stunts/action, production design and photography, and general thoughts. While occasionally fluffy, “Unearthed” still manages to cover the film pretty well. It touches on a nice array of domains and gives us useful notes along the way. In addition to three trailers, we find two galleries. The disc presents “Concept Art” (82 frames) and “Unit Photography” (12). “Unit Photography” lacks much of interest, but I like some of the art. A second disc presents a DVD copy of Apocalypse. It includes the audio commentary, the galleries and the gag reel. After the slightly lackluster Days of Future Past, the X-Men series rebounds with the more effective Apocalypse. Despite a sluggish first half, the movie offers enough action and drama to become a winner. The Blu-ray boasts excellent picture and audio as well as a solid set of supplements. Apocalypse becomes a worthwhile superhero adventure.